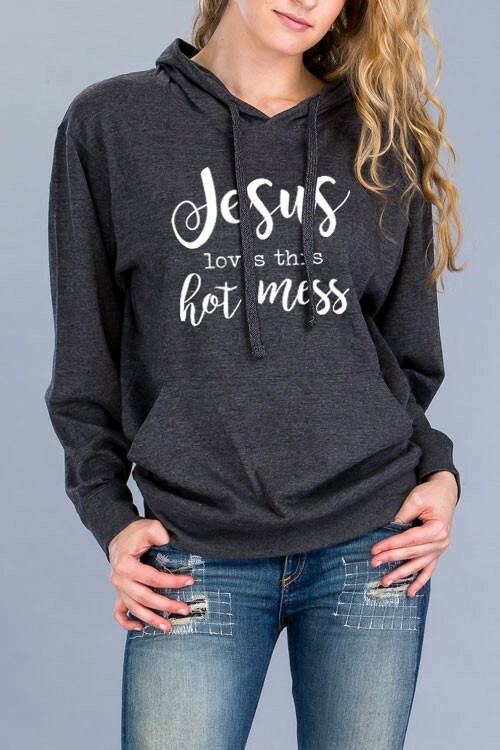 Jesus loves this hot mess screen printed jersey pullover hoodie. Charcoal with white graphic screen print. Also available in sizes XL and XXL in Plus Size Fashion. Hoodie Imported. Screen printed in USA.